Robert Fitts opens The Church in the House with a mission statement for a house church. Once he has readers engaged in the subject, he then builds a biblical case for house churches, including a detailed discussion of what is and isn’t a church (or the church). Using the metaphors of a wheel and a vine, he advocates the vine as an ideal picture of church growth—living, spreading out, putting down new roots, and so forth—versus a wheel image that portends centralized control and a rigid structure. 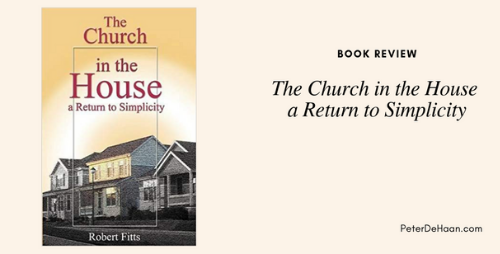 He concludes the book with practical information about starting a house church, how that looks, and what it entails. For those so inclined, the bibliography offers a suitable list of resources for future study. This book serves as a great primer for those seeking to learn the rational of house churches. It also functions as an apt resource for those pursuing the vision of a house church. For both groups, it is a short and easy read, packed full of useful information and insights.